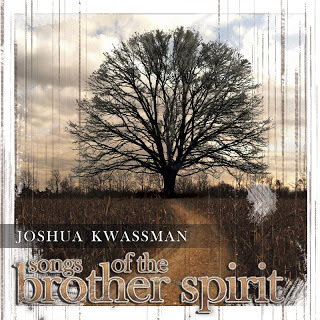 Joshua Kwassman is a native of Newington, CT, a graduate of the New School in New York City and an impressive young composer (24 years old). He and his group are coming to The Buttonwood Tree, 605 Main Street in Middletown this Saturday (March 16) to celebrate the release of his debut recording, "Songs of the Brother Spirit" (Truth Revolution Records). The CD, recorded in May and August of 2011, will surprise many jazz fans as it a very mature statement in that the performances revolve around the compositions and are not just vehicles for lengthy solos. And, although there is a vocalist in the recording and in the group coming to Middletown, the song-stories that make up the program have no words. Kwassman cites Brian Blade's Fellowship Band as a big influence on his music and group philosophy and one can hear Blade's sound in the blend of guitar and piano, the open chords and the folk-like melodies. 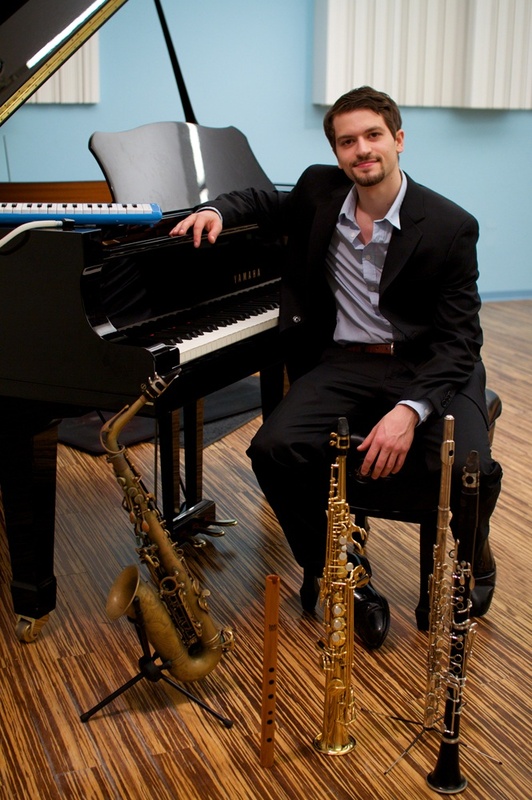 Joshua Kwassman, who plays alto and soprano saxophone, clarinets, flute, melodica and piano, recorded this program with his friends, most of whom have played this music many times. The rhythm section of Craig Akin (acoustic bass) and Rodrigo Recabarren (drums, percussion) are not just "time players" but add colors, help to create the dynamic variation and change of moods. Israeli-born guitarist Gilad Hekelsman plays guitar on 6 of the 8 tracks with Jeff Miles (who is in the ensemble at The Buttonwood) on 1 track. Angelo DiLoreto (4 tracks) splits the piano duty with Adam Kromelow (3 tracks) and it's Di Loreto who will be in the band on Saturday. Arielle Feinman is the "voice" of Kwassman's music (she also contributes glockenspiel on the beautiful "Meditation", a piece for piano, voice and clarinet. The composer created syllables for the vocalist (it's not gibberish yet does not sound like a familiar language.) "The Nowhere Trail", the 3-part, 27 minute work that closes the CD, covers an impressive swath of musical territory. "Part 1", the longest section at nearly 12 minutes, blends the exciting guitar work of Miles with the expressive voice, Di Loreto's forceful piano and Kwassman's active clarinet. The music is a blend of contemporary jazz, progressive rock influences and Brazilian sounds. "Part II" opens with a handsome acoustic guitar melody (Hekelsman) that has the influence of Ralph Towner. When the ensemble enters, the music rises on the overdubbed guitars and Ms, Feinman's ethereal vocal. The composer moves from clarinet to melodica in the background, offering a counterpoint to the melody line. "Part III" starts quietly but soon picks up in intensity, offering solo opportunities for the leader (on alto saxophone) followed by a section in which the voice, guitar, piano, and soprano saxophone blend their tones, slowly for each instrument to drop out save for the acoustic guitar and an introspective close. Other highlights include the powerful "In Light There Is Song", another piece that picks up as it moves along only to stop in the middle for a rubato interlude then picks up again. The episodic nature of this material encourages the listener to attention yet songs such as "2/22" allow one to close his eyes and just let the sounds wash over. Opening with atmospheric electric guitar, the voice enters then the composer on piano and the trio presents the melody in such a gentle manner. 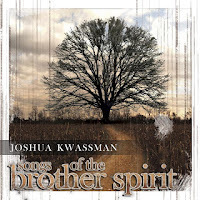 "Songs of the Brother Spirit" is quite a mature debut for composer and multi-instrumentalist Joshua Kwassman. One can tell he poured his heart and soul into this music, songs that are moving, honest and filled with sparkling moments. For more information about the composer/musician, go to www.joshuskwassman.com. To reserve a seat for Saturday's performance, go to www.buttonwood.org.